Suicide car bombers is a major threat our military faces overseas and as you can imagine it can be difficult to spot and destroy in a matter of seconds while minimizing civilian casualties. So tanks started using a sabot round, a high speed, massive round designed to penetrate their junky vehicles and completely melt anything inside. Adapting in war is crucial for survival, especially when dealing with an unconventional enemy like the Taliban. Just another example of the military showing its force and smarts when dealing with the enemy, and melting them like butter to prove a point. The biggest question then becomes is this friend or foe? Split second decisions by the military must be made. To shoot or not to shoot. Is it a civilian or foe? It can be a tough call to make since many of the civilians in Baghdad can be unaware of a U.S. military presence, but it must be done before there are casualties. It becomes a matter of kill or be killed, especially on Highway 8. 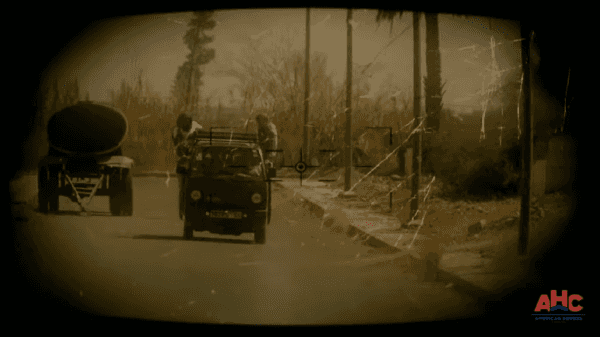 “Cars will turn around the corner and then they will back out and then as you go by, they scream out and then attack you,” said a soldier in the video. With the decision made, the sabot, a deadly ammunition round, is deployed. This is an armor piercing round that literally comes apart and the rod, made of depleted uranium, goes on to the target. The rod travels at speeds of 3,500 mph and it kills through sheer kinetic energy, liquefying anyone in the vehicle. The sabot was first known as the “Silver Bullet” or the M829A1, which proved to be brutal in Operation desert Storm, according to We Are the Mighty. It was commonly used by the Army and Marine Corps. to wipe out suicide tankers that often invaded the battlefield. 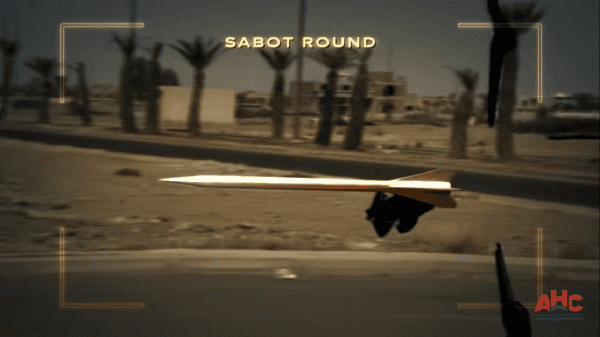 The sabot hits with such force that it bores a hole through the aim, delivering a spray of hot metal fragments that explode into the target, the video states. Baghdad suicide bombers are part of the warfare that the U.S. military has to deal with but the sabot rounds are a distinguished choice in eliminating enemy forces and one that leaves soldiers much more confident, and even more important, alive.